Prof. Hanns-Ludecke Rodewald's 'natural condition' Opel. 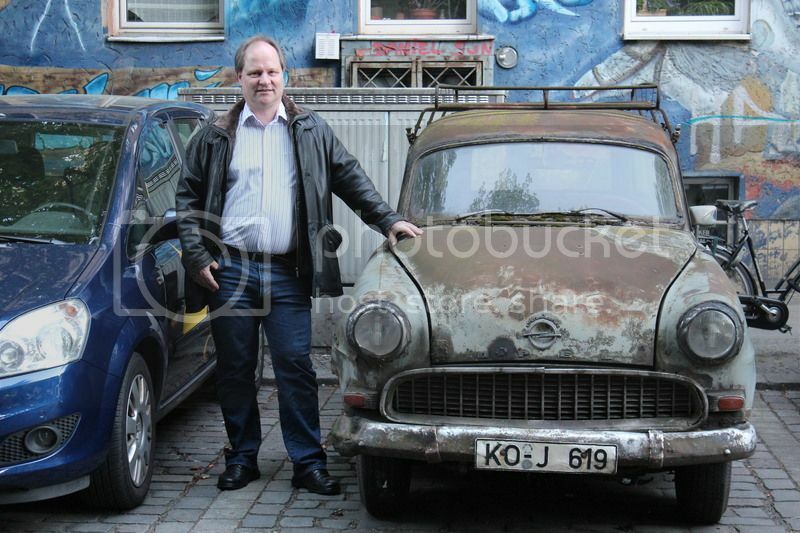 Fully roadworthy, passes very strict German tests with flying colors and is a daily driver. From what I could glean from a translated news article, he's owned the car since 1976 and he's always parked it outdoors. German authorities have put "yellow stickers" on his windshield several times, branding the car as scrap just based on the way it looks, and he's had to go to court and prove the car is still in operating condition. What happened to your car, mister?